Dry skinned beauties are often in the lookout for that magic product that can make their dehydrated skin nourished and glowing. While the right moisturizer can actually go a long way in treating the problems of dry skin, a proper face mask can really work wonders for dry skin. The Best face masks for dry skin will not only hydrate the skin but will also leave it soft and glowing. This face mask can be used by any skin types but it is most effective for dry skin particularly because of its highly moisturizing nature. As the name suggests this overnight mask ensures night long nourishment and repairing of the skin, which helps not only in replenishing the lost moisture but also smoothening of the effects of skin dryness, including fine lines and wrinkles. This creamy formula penetrates deep into the skin and gives all the essential nutrients it needs. This formula is designed to increase the moisture reserve of the skin, so that the skin never again feels stretchy or dry. 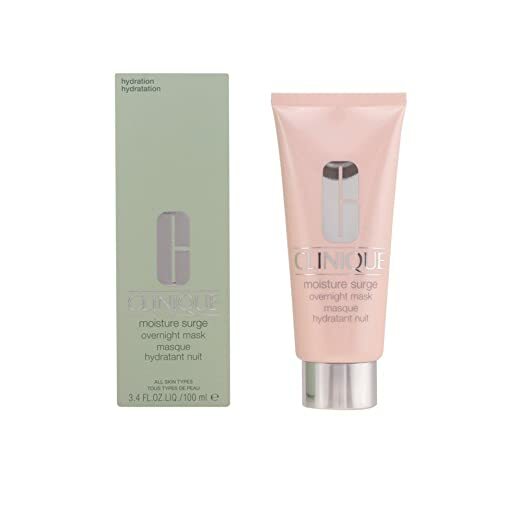 Clinique Moisture Surge Overnight Mask soothes and nourishes the skin. It prepares the skin to hold in moisture. 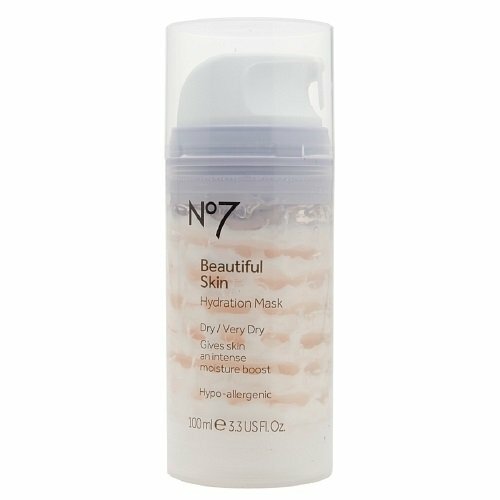 Boots No7 Beautiful Skin Hydration Mask is one of the best budget friendly masks for dry and very dry skin. 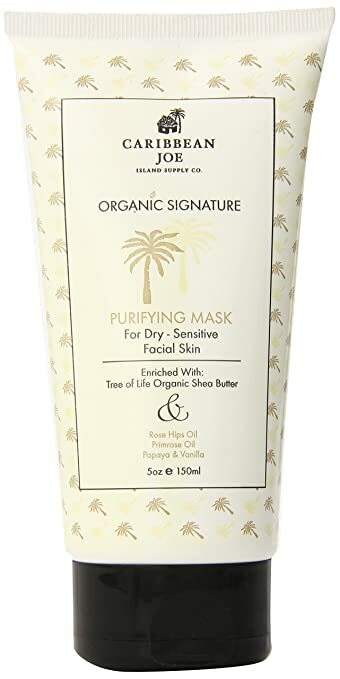 If you are tired trying many masks but nothing seems to hydrate your dry skin or give relief to the stretchy feel, try out this mask and your skin is sure to heave a sigh of relief. This intense moisture boosting formula has been particularly formulated to replenish the moisture level in dry and very dry skin. The mask contains hydrating agents like glycerin and cocoa butter which ensures deep nourishment of the starving skin. To diminish the roughness of the skin caused due to dryness, the pack contains ceramides and cholesterol which improves the surface texture of the skin. It adds essential lipids to the skin and strengthens it against harsh weather. This hydration mask also offers anti-aging benefits through its Vitamin E and Vitamin C content, which are known as most effective natural anti-oxidants. This product has got great reviews from the users as it can actually solve the problem of skin dryness only with a few applications. 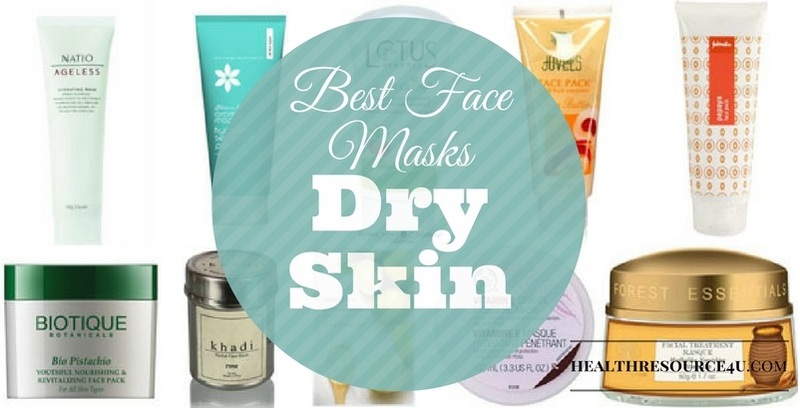 If you are looking for the Best face masks for dry skin, your search can actually end here. 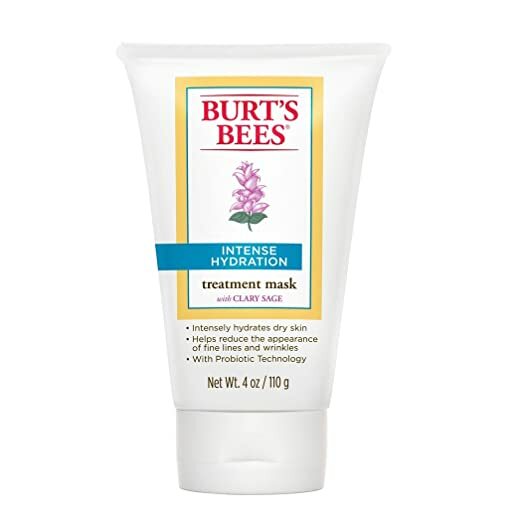 The Burt’s Bees Intense Hydration Mask is formulated particularly to replenish the hydration needs of dry skin. This intense hydration formula has been manufactured with 99% natural ingredients. So, while it will kill the dryness of your skin efficiently, will also make sure that your skin is well nourished and rejuvenated. This mask uses the probiotic technology which ensures in depth hydration and nourishment of the skin. The presence of clay sage extract in the formulation not only diminishes skin dryness but also propels the ability of the skin to hold moisture. The product works both as hydrating and anti-aging mask by reducing the appearance of fine lines and signs of aging. This dermatologist tested product has been formulated without parabens, phthalates or petroleum by products. It is completely safe for use even on sensitive skin. It also comes in a reasonable price. This product comes with some tall claims and also a not-so-considerate price tag. The good thing is Paula’s Choice SKIN RECOVERY Hydrating Treatment Mask is actually able to deliver what it claims. So, yes, though the price tag is a bit hefty, if you are ready to make that kind of investment for your skin, this product is worth a try. This product is particularly designed for dry and very dry skins. So, oily skinned beauties should stay away from it. This formula replenishes the dry skin and works to give it a healthy look. It is formulated with plant oils and a bunch of anti-oxidants that supply hydration, nourishment and also improves the quality of the skin from within. It comes in a rich and creamy formula that dry and very dry skins are sure to love. Apart from the rich plant oils, it also contains a bunch of essential lipids and vitamins that addresses problems like aging. The product is completely free from fragrance and non-irritating even for the most sensitive skin. When it comes to natural skin care, the name of LUSH certainly makes a good place amongst the customers. The Mask of Magnaminty by LUSH is claimed to be one of the best products formulated by their researchers till date. This mask is suitable for all the skin types and it works amazingly well for all the skin needs. 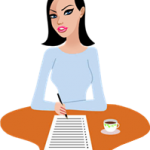 It has got several top reviews from the users and you can actually settle for this product even though it is pricy, because you know it will work. The Mask of Magnaminty by LUSH is an exfoliating as well as hydrating mask that never fails. It is a China clay based mask which helps in clarifying the skin from deep within while peppermint extract helps in adding freshness to the skin. The aduki beans present in this formulation promotes skin exfoliation which helps in natural skin resurfacing. Vanilla and honey particularly work towards hydrating the skin. This pack at one hand cleanses the skin from deep within and ensures gentle exfoliation of the dead skin cells and on the other, hydrates and nourishes the skin. This all-in-one mask is often referred as the ultimate mask. If you are a strong advocate of natural skin care, this BeeFriendly Honey Facial Mask can be your favorite buy. This product has been formulated with 100% natural honey and a bunch of other natural ingredients that can make skin dryness a thing of the past. This product contains natural ingredients that are proven to boost the cellular regeneration process. Improved cell regeneration can not only heal dry, damaged skin but can also improve the total texture and look of the skin. If you are still not convinced about this product, what you need is to check the ingredient list. This product is formulated with ingredients like Hawaiian wildflower honey, French pink clay, Organic diatomaceous earth, Hawaiian blue green algae, Royal jelly and essential oils. So, now you know what exactly you can expect from this mask. It helps in skin healing, hydration, nourishment and rejuvenation. If you are tired with dry skin, signs of aging, acne or any type of skin imperfections, this BeeFriendly Honey Facial Mask can be the ultimate natural treatment for your skin. 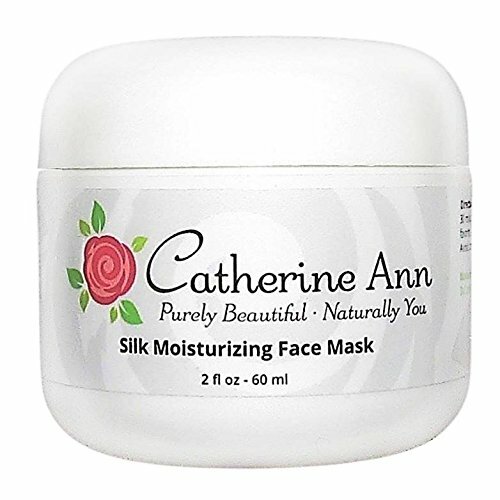 This signature product from Catherine Ann is formulated to meet the needs of the dry skin. It has a super hydrating and calming formula that can be a boon for the dry, dehydrated skin. This 72% organic mask contains Aloe Vera along with Hyaluronic acid. Hyaluronic acid is known for its ability to penetrate quickly into the skin and to give the skin a plump look. Hyaluronic acid also increases the ability of the skin to absorb and retain moisture which can be most helpful to diminish the problem of dry skin. This professional strength formulation combines amino acids, vitamin B5, jojoba oil, rosehip seed oil, oatmeal as well as vitamin E. The combined effect of these ingredients not only nourishes the skin but also makes it soft, supple and healthy. The product is free from alcohol as well as paraben, sulfate and artificial fragrances. It can be best used by both men and women fighting with dry skin. This rich formula also gives anti-aging benefits and hence can be picked for treating prematurely aging skin as well. Here comes the Vichy Quenching Mineral Facial Mask for Dry Skin, which is claimed to be a top product in the arena. This mineral based facial mask delivers the goodness of natural minerals to the skin to make it hydrated and nourished. Apart from natural minerals, it also contains glycerin and Vitamin B3 which helps in soothing and hydrating the skin. It gives a cooling sensation on the skin immediately on application. The pack claims to offer 24 hour hydration even to dry skin. 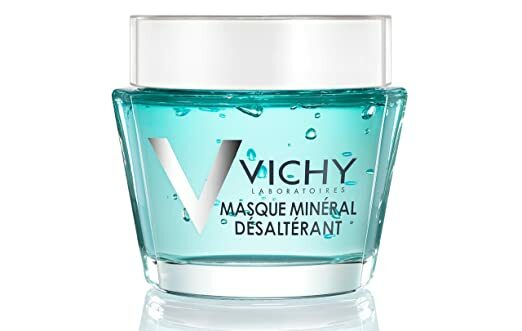 This mask is enriched with Vichy mineralizing thermal water which claims to improve the moisture holding capacity of the skin while replenishing the lost moisture. The brand claims that this mineralizing mask can solve the problem of skin dryness giving the skin a rebalanced and revitalized look in just 4 weeks of regular use. This mineral mask from Vichy includes ingredients that are efficacious and ideal even for the sensitive skin. The pack has worked well for many and if you are trying to fight skin dryness you can surely give it a try. 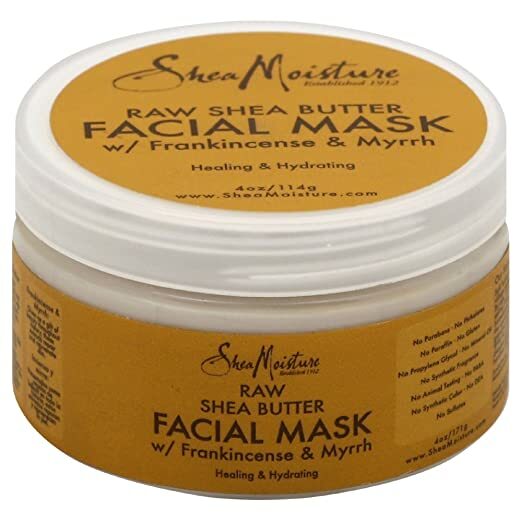 If you are looking for a highly moisturizing mask for your drying skin, this Raw Shea Butter Facial Mask can meet your needs. It is considered as one of the Best face masks for dry skin because of its intensely hydrating natural formula. Shea butter has the ability to nourish and hydrate skin from deep within. It easily penetrates the layers of skin and gives it a rejuvenated look. This Shea butter based facial mask gives clarifying effects for its unique ingredients and also softens the skin. It provides instant hydration to the dry skin and helps in rebalancing the skin moisture level. You can get the best effects of this product if you are fighting from skin dryness due to aging or if skin dryness is making the signs of aging appear prematurely on your skin. The brand claims to use only the best ingredients in formulating their products and according to reviews, this no fuss mask can actually provide the required hydration needed by dry skin. We all are aware about the magical abilities of the Dead Sea mud. This natural mud has high natural vitamin and mineral content and is extremely good for the skin. This mud has high concentration of natural magnesium and sodium which can be most effective in purifying the skin. It helps in removing the impurities as well as the excess oil from the skin. As the pack helps in opening the pores, it promotes proper oil balance in the skin. 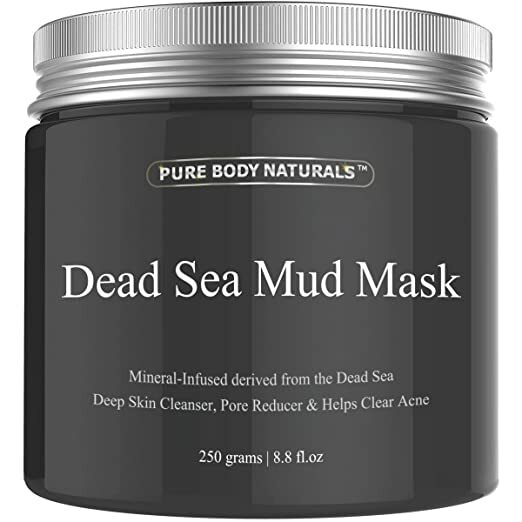 Along with the mud from Dead Sea, the Pure Body Naturals Beauty Dead Sea Mud Mask also contains a bunch of nourishing oils. This sunflower and jojoba oil enriched formula takes care of the hydration needs of the skin very well. So, if you are suffering from skin dryness or any other skin problem caused due to dryness, this Dead Sea mud pack can be a good option to say bye to all your skin worries. 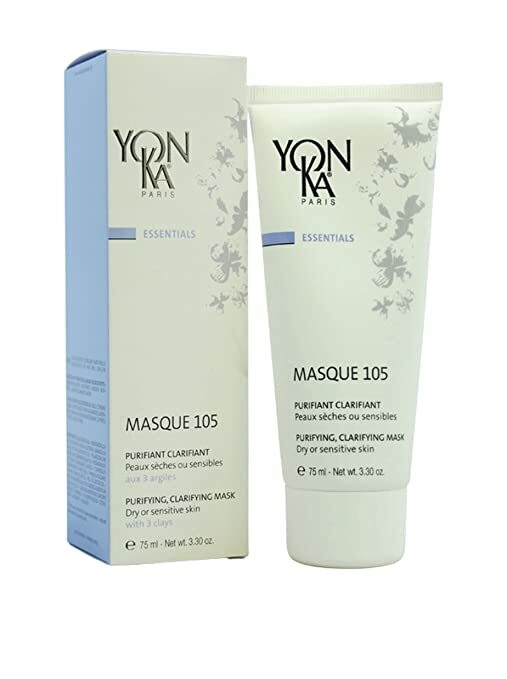 This purifying and clarifying mask from Yonka is claimed as one of the Best face masks for dry skin. It is extremely hydrating for the dry skin and also promotes skin exfoliation and rejuvenation. It contains Montomorillonite, Bentonite and Kaolin as the base. These mineral based natural clays help in soothing and calming the skin. In order to fill the thirst of dry skin this pack also contains a bunch of hydrating ingredients. Glycerin, lavender oil, geranium oil, rosemary oil, thyme oil and Cyprus oil makes the list of the primary skin hydrating ingredients present in this mask. All these oils not only help in nourishing the skin and rebalancing the moisture level but also promote skin rejuvenation. This hydrating pack helps in fighting the signs of aging related with skin dryness and improves skin elasticity. Say bye to dry, dehydrated skin and hello to youthful and nourished skin with regular use of this rejuvenating face mask for dry skin. This product comes with a weighty price tag but is it able to deliver according to the claims? According to the user reviews, though this mask is expensive it actually delivers what it claims. Apart from infusing moisture into the dry skin it focuses on skin rejuvenation. It improves the regeneration ability of the skin by boosting the elastin and collagen synthesis in skin. It combines ingredients like Vitamin E and Carotene to keep the signs of aging at bay. This ultra-rich and creamy formulation heals dry skin giving it a smooth and supple look. The hyaluronic acid present in this mask improves the ability of the skin to retain moisture. It does not only hydrate the skin but also repairs it giving it a new look and bright complexion. What it contains? Vitamin A and Vitamin E and what it offers? Plumped, hydrated and noticeably beautiful skin. It also comes with towards-the-high price tag. This face mask is claimed to heal dry skin and all its problems quickly. All you need to do is to apply a generous amount of it on clean skin and remove after the recommended time. This luxurious mask is enriched with plant and fruit extracts. It also contains Shea butter from the Caribbean along with rose hip oil and primrose oil to nourish and hydrate the dry skin. To promote a rejuvenated complexion this mask contains the extracts of papaya and vanilla rum. If dry skin has become your major skin issue, try out this Dermalogica Skin Hydrating Masque. This refreshing and moisturizing formula claims to offer best hydration to meet the needs of dry skin. The mask is refreshing and comes in a gel form. However, being infused with vitamins, antioxidants and botanical extracts it delivers adequate moisture to heal the dry skin. Apart from hydrating, this mask also offers skin restructuring and anti-aging benefits. It includes a list of ingredients that is really remarkable. Being a gel based formulation the product seeps easily into the skin and you can even use it under your regular moisturizer to ensure maximum hydration. The mask visibly reduces the appearance of fine lines and skin inflammation. The product is completely free from artificial color and fragrances which makes it ideal even for the sensitive skin. Queen Helene Facial Masque, Olive Oil is one of the most pocket friendly hydrating masks in the market without which the list of the Best face masks for dry skin cannot be complete. It is light on your pocket but great for your skin. According to reviews this is a perfect mask to give your ultra- dry skin a quick burst of moisture. The primary ingredient in this mask which makes it most effective to replenish moisture in the skin is Olive oil. Apart from that it also contains chamomile and sage extract that soothes and softens the skin. These ingredients are also known for improving the elasticity of the skin. Face masks can be really effective to solve out your skin problems. However, in order to get the best out of a face mask, it is important to first understand your exact skin needs. Once you have a clear idea about what your skin needs, opt for a mask that is formulated to meet those needs. Checking out the reviews of the Best face masks for dry skin, oily skin or sensitive skin can be really helpful for you to understand which mask will work best on your skin. After you have chosen a face mask, before you use it, read through the instructions carefully. Different face masks can have different application methods for the best results. So, instead of just lathering it up on your face, check when is the best time to use it and also the right method to get the best results. You should never use a mask on uncleaned skin. Always make it a point to wash your akin clean with a proper cleanser before going with that mask. Usually you need to keep a mask on your face for 5 to 15 minutes before removing. It is best to check the exact time for which you should keep the mask on in the “application instruction” sections before applying it. Just wiping your face with a hot towel can be sufficient for removing some masks while there are also some particular facial masks that might not need to be removed at all. Some masks will need to be removed with warm or normal water. So, check the instructions that come with the product carefully and use it as suggested, to get the best results. Keep in mind, even the best product cannot give you the best results if you do not use it in the right way.